In 2012, Dr. Sarada Krishnan was invited to serve on the scientific team to conduct an expedition to South Sudan, led by the World Coffee Research of the Norman Borlaug Institute of the Texas A & M University. The Boma Plateau in South Sudan is considered to be a center of diversity of Coffea arabica (Arabica coffee) along with Ethiopia and Mount Marsabit in northern Kenya. 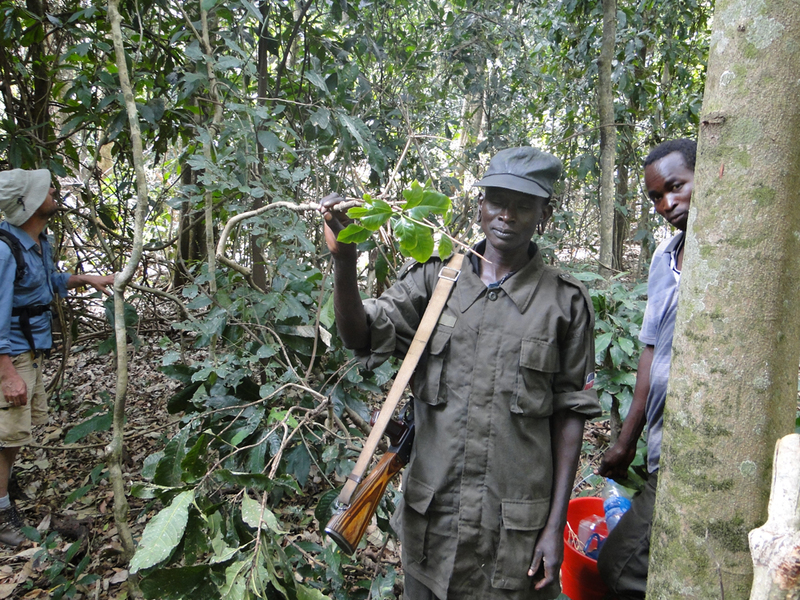 Populations of wild coffee were documented in the forests of Upper Boma in the 1940s. The main purpose of this expedition was to visit the forests to ascertain presence of these populations and collect material to assess genetic diversity. Based on the genetic diversity study, a coffee germplasm will be established in the region for future coffee sector development for economic growth. Coffee populations, both wild and cultivated, were collected, totaling 74 accessions of coffee leaf samples. 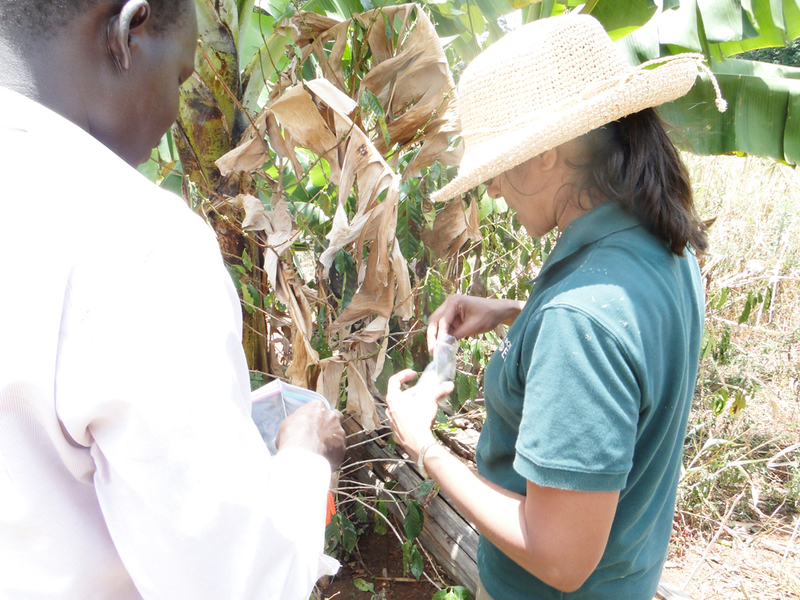 Genetic studies were performed at the Garden’s Conservation Genetics laboratory and a report was submitted to World Coffee Research outlining a strategy for collecting and establishing a field genebank in Upper Boma. This USAID-funded project of the Norman Borlaug Institute will create linkages with South Sudan’s John Garang Memorial University for Science and Technology, leading to collaborative research and local capacity building. At the pace at which habitat degradation is happening throughout the world, collecting missions like this will be critical in ensuring that the world’s genetic resources are protected and preserved for future use. With coffee, these genetic resources will have significant implications for future breeding. The full report on this study can be viewed here. The Geisha variety (C. arabica var. Geisha) was first discovered in the forested mountains of western Ethiopia (provinces of Maji and Goldija) in the 1930s. It was first brought to Panama from Costa Rica in 1963 after first journeying through Tanzania and Kenya. Displaying unique flavor profiles, larger bean size and other phenotypic differences from other C. arabica varieties, Geisha also exhibits resistance to coffee leaf rust (Hemileia vastatrix Berkeley and Broome). The recent epidemic outbreak of coffee leaf rust in Central America has led to crop devastation. Taking economics and the minimization of chemical input into consideration, the most viable option is the development and cultivation of tolerant varieties. Geisha coffee can play an important role in future breeding programs for crop improvement to confer disease resistance and improve cup quality. The specific research objective of this study conducted in 2013 was to understand the genetic differences between the Geisha coffee grown in Panama and that from the original forests in Ethiopia. The full report and details about the study can be viewed here. Are we living in a golden age of coffee? Dan Saladino, producer of The Food Programme, journeys into coffee's past, present and future. He speaks with Dr. Sarada Krishnan, director of horticulture and the Center for Global Initiatives at Denver Botanic Gardens, about her long love of coffee, international research and conservation projects. Throughout the program, Saladino discovers a world of new coffee flavors and finds that things are more precarious than they may seem. WBEZ Chicago Public Radio’s monthly EcoMyths “What the Plant?” segment features Dr. Sarada Krishnan, director of horticulture and the Center for Global Initiatives at Denver Botanic Gardens, as she proves that indeed, coffee is endangered.